Cold stone ice creams have been fascinating us for quite some time now. This ice cream hub, has 5 beautiful varieties on its menu! We tried the Brownie Special which was decorated in a very cutesy manner, with a tiny umbrella resting on top. The first look of it with brownie crumbs, two crunchies on the side and dripping chocolate ice cream just stole our hearts away! The cherry on the top (literally) added to the sweetness. 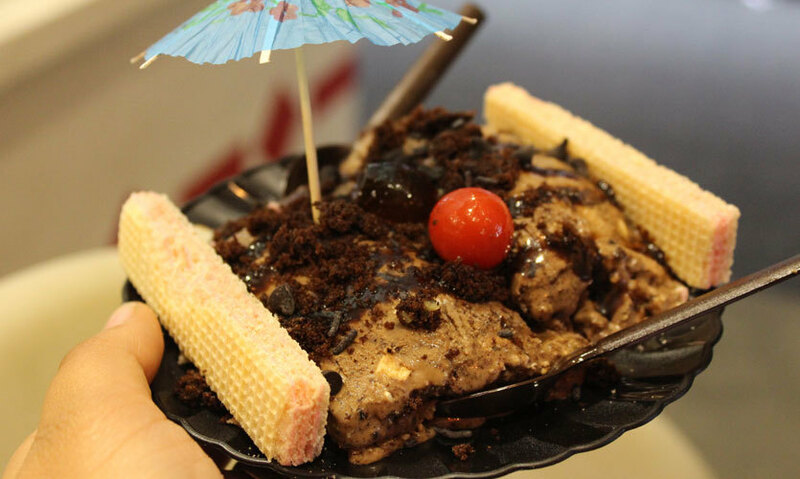 This was one curiosity-generating item on their sundae-menu and we couldn’t wait to try it! 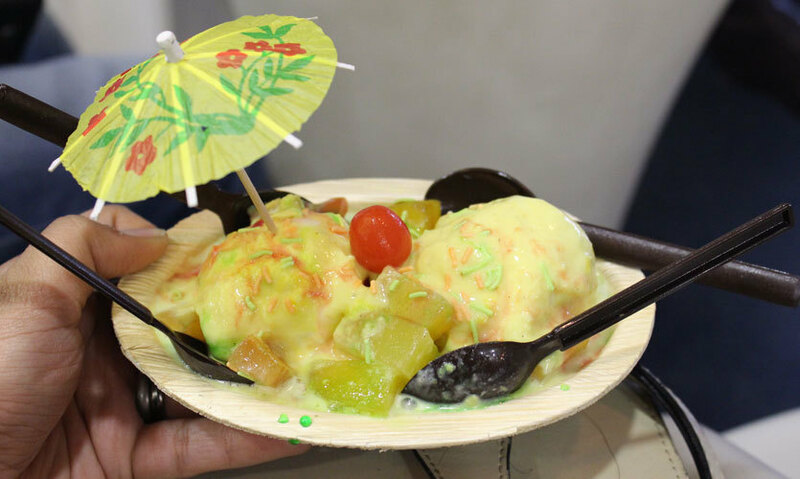 Faluda ice cream, topped with fruits from Del Monte giving it a modern look, was again decorated with a cute little umbrella on top. Giving us flavours and bits of rabri and vanilla ice cream, rose, mint and butterscotch flavour, this fruit cocktail was our happy-pick! Being harcore Oreo lovers, we just had to order this milk shake from their menu! A blend of Oreo cookies, vanilla ice cream and frothy milk, this combo that was presented so gracefully, turned out to be a delicious choice! It had a very sweet flavour and we felt they could have been a little more generous with the quantity. Nonetheless, the shakes here are worth every penny! For years, paan has been a mood uplifter and a taste changer for us. Thinking on the same lines, we excitedly ordered this up! 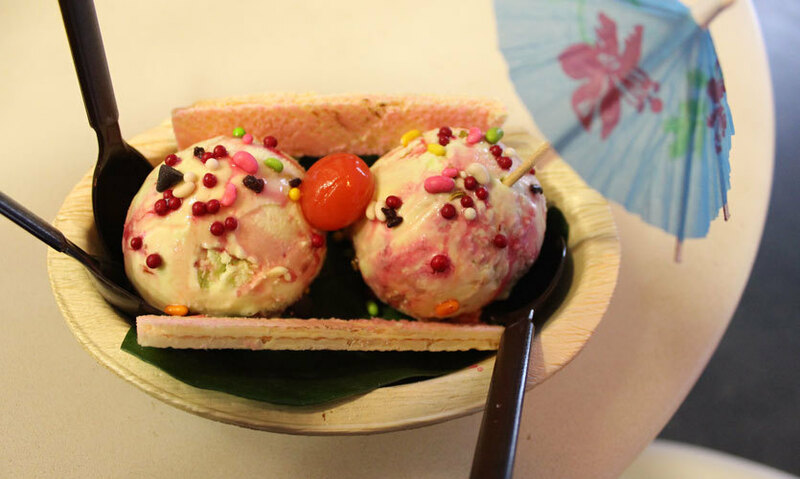 This ice cream had two scoops of Paan Bahar Ice Cream, paan leaf and rose flavour and offered a taste that we’d want to try again and again now. We adored how it was presented and would definitely recommend you all to pamper your sweet tooth with it as well! 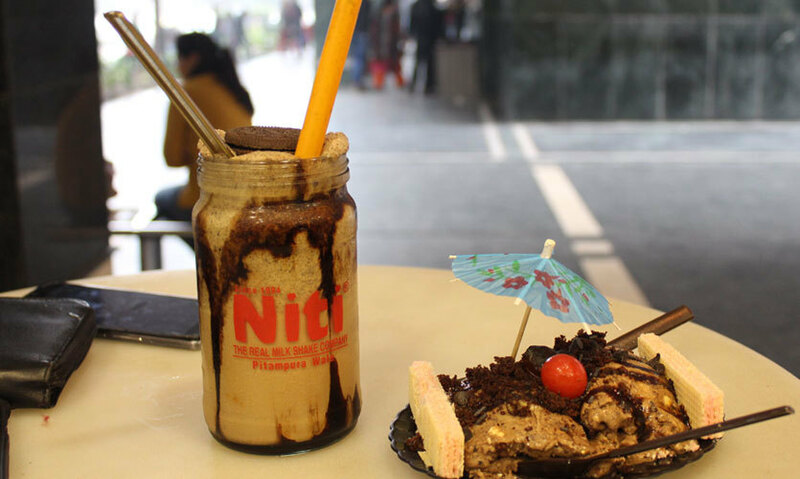 Don’t Miss These Deets | You can also try the Badshahi Gulabo shake, that’s another ultimate shake in their menu! They also have a separate category for Nimboo Lemon wherein they serve 5-6 different flavours, you should definitely try the Bombay Masala, Dabangg Aam or Cucumber Lemon when here. When there, also create your own Sundae - the Jo Marzi Sundae and get a chance to choose from any 5 flavours and toppings of your choice! Our personal favs (after trying and testing!) would be the Jamaica Almond Mocha, Mall Road Ki Coffee, Butter Brownie, Uff Thandi Mirchi and Mint Masala! All you jaggery lovers can also try the Jaggery & Nuts flavour as it’s another commendable speciality at the outlet. We’re glad we checked out this place since we know where to go next when ice cream cravings strike us! You’re next! ?